All day women’s conference on the Holiness of Women. 4 speakers, shopping, confession, adoration, and mass celebrated by Auxiliary Bishop Rodriguez. Speakers are Colleen Carroll Campbell, Everett Fritz, Sister Maris Stella, and Father Nick Larkin. Ages 18 – 35 . Come and have a taste of our Liturgy and style of life. And spend a weekend with the Lord. Join us each First Saturday to pray the Rosary and Chaplet of Divine Mercy in the public square. We pray for the healing and sanctification of the Church, for an end to persecution of Christians, for peace in our hearts and in the world, and for the sanctity of human life. An international event with leaders in the New Evangelization speaking to inspire, encourage and train Catholics to effectively evangelize. The annual conference will be held in Ottawa and streamed to 54 host-sites, including St. Thomas More parish. Join the prayer of the Community of the Beatitudes and pray for Mary’s intercession for healing. Location: St. Catherine of Siena Parish, 4200 Federal Blvd. 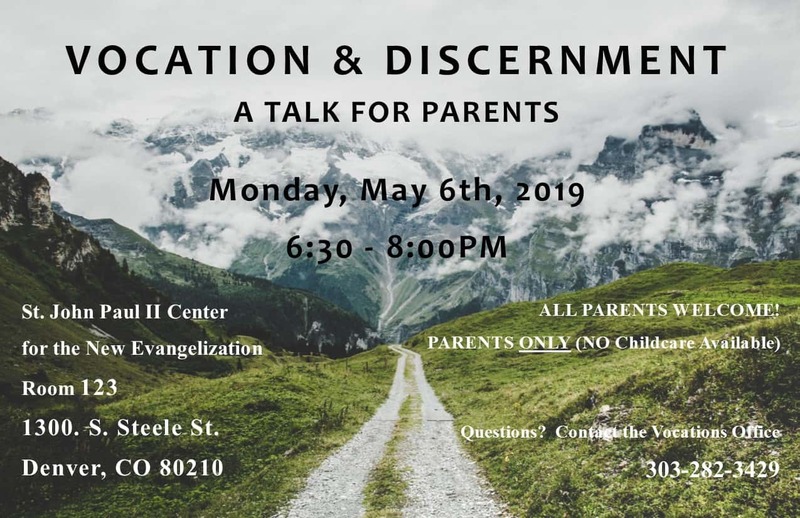 Would you like to learn more about discernment? Do you and your spouse practice discernment in your everyday lives? In addition to praying for your children’s vocations, do you take the time to pray for your own? Just because a couple may be married and raising children, that doesn’t mean mom and dad shouldn’t still pray for their vocation as spouse and parent! Each of us is called to continue to live our vocation every day! Aside from our ‘big V’ vocation (marriage, priesthood, religious life, consecrated life), God calls us to ‘little v’ vocations as well, and those need prayers too! The Vocations Office invites you to join Fr. 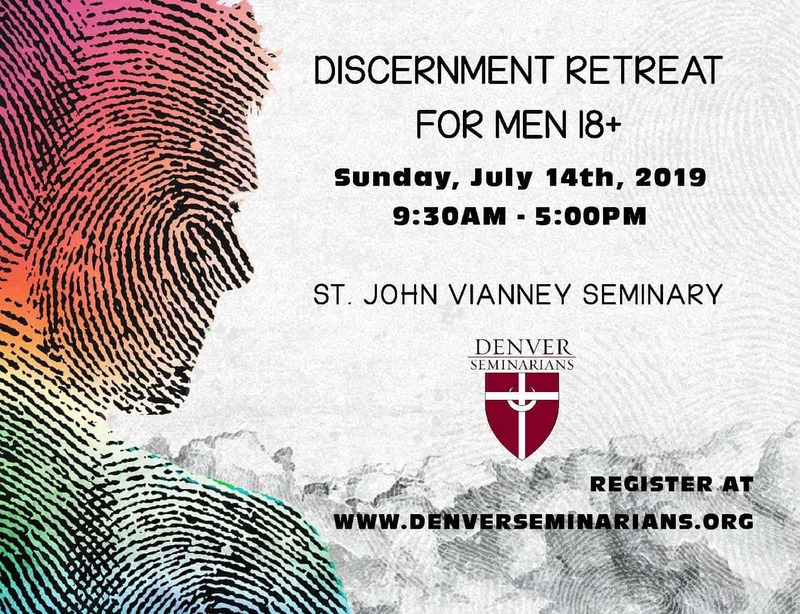 Ryan O’Neill for an evening where we’ll explore the fundamentals of discernment, learn more about vocations, and have time for questions. This evening is FREE to all parents. If you have young children, or if they’re post-grads who are starting families of their own…and everyone in between! All parents are welcome, but please keep in mind that this event is for parents only (we will NOT have any childcare services available). Tell your friends, others at your parish, your neighbors, coworkers…the more the merrier! There will be water and light snacks available. Join us in Room 123 of the main AOD administration building (also called the Chancery). We hope to see you there! No official registration is required, but please email adrienne.merritt@archden.org to RSVP so we can get a headcount to have enough snacks available. Cost: $2550 Land portion. Purchase your flight on your own. Featuring: Fr. Wade L. J. Menezes, CPM, Fr. Donald Calloway, MIC, Fr. Chad Ripperger, Fr. Joseph Tran and Fr. Frank Garcia. “Behold Your Mother” In honor of the Consecration of the Archdiocese of Denver to the Immaculate Heart of Mary. Join us for a day with author Danielle Bean, walking alongside women of the Old Testament to discover God’s unique and personal love for women. Price includes light breakfast items, beverages and lunch. Doors open at 8:30 am. Come spend the weekend in Aspen with the Bishop to lead you deeper into our Catholic faith through the many beautiful traditions that have been passed on to us. Spend time with Catholics from all over the USA; enjoy the beauty of Aspen and many outdoor activities planned! Learn how to paint an icon with the traditional egg-tempera technique. Discover the rich tradition, the theology of icons and the symbolism of the Byzantine style. Laurence Pierson has been painting Byzantine icons for 28 years and teaches in Denver on a regular basis. Worship God and burst in joy for the outpouring of the Holy Spirit in the fraternal ambiance of the Community of the Beatitudes. Location: St Catherine of Siena Parish, 4200 Federal Blvd. Mercy Squad is for young adults ages 18+ years of age. Mercy Squad is a 5-day young adult service opportunity beginning with a 2-day retreat the Wednesday prior to the conference weekend. The squad will pray, worship, and grow in formation and community before preparing the conference for the arrival of 2000+ teens. Mercy Squad provides “hands on” work throughout the weekend in various volunteer capacities to serve the youth and the conference. Mercy Squad is a great way to connect with other young adults who desire to grow in faith and remain actively involved in the Church. FOR MEN WHO RISE UP TO THE CHALLENGE OF BEING THE FATHERS, SONS, BROTHERS AND HUSBANDS THEY WERE MEANT TO BE! 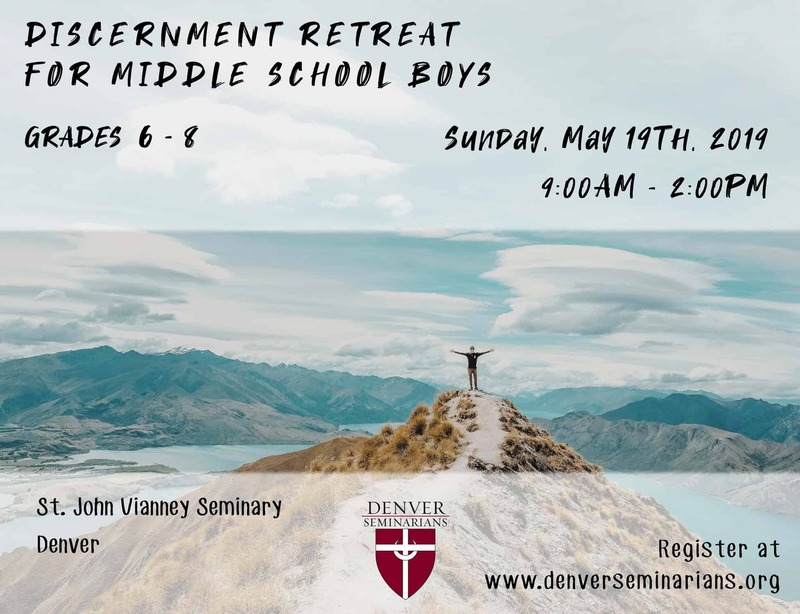 This conference is designed to train priests and laity in a diocesan protocol to structure the process by which people who need Deliverance and Healing can receive this ministry. There will be separate priest, laity and professional tracts. Fr Chad Ripperger will speak. The Meal that Serves Many: We invite you to a profound evening of storytelling, music and a great meal. All proceeds benefit Samaritan House Homeless Shelter.